Regular size: 30 each in a package. 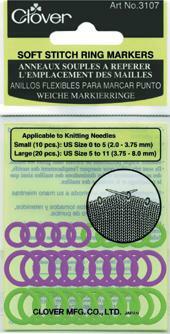 For small needle size (2.0 - 3.75mm) 10 each; large needle size (3.75 - 8.0 mm) 20 each. Jumbo size: 20 each in a package. 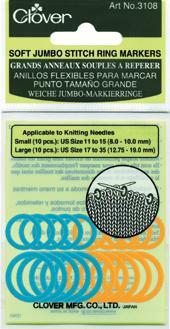 For small needle size (8.0 - 10.0mm) 10 each; large needles size (12.75 - 19.0 mm) 10 each.